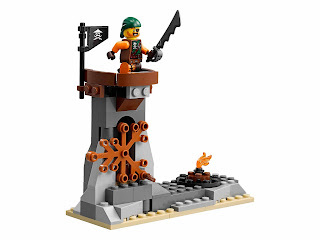 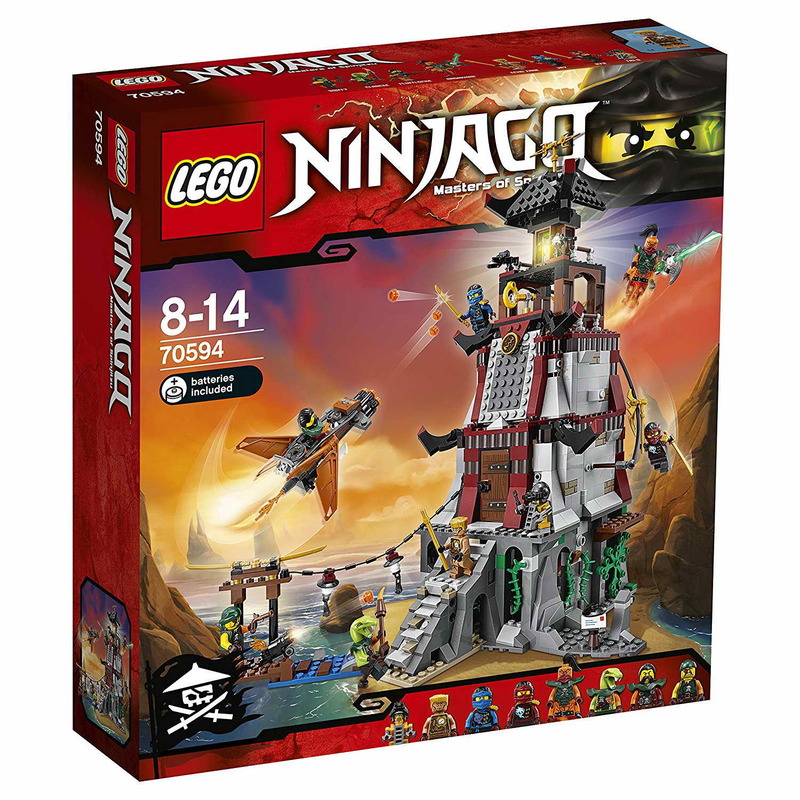 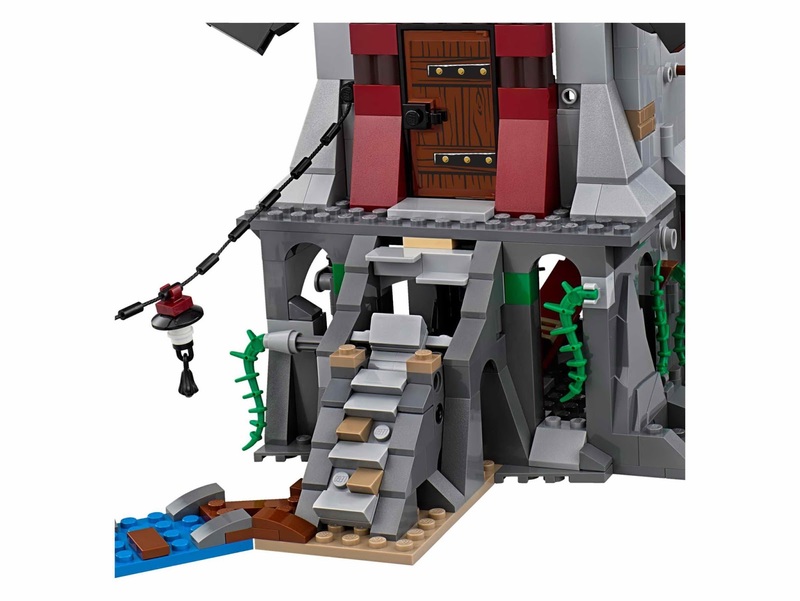 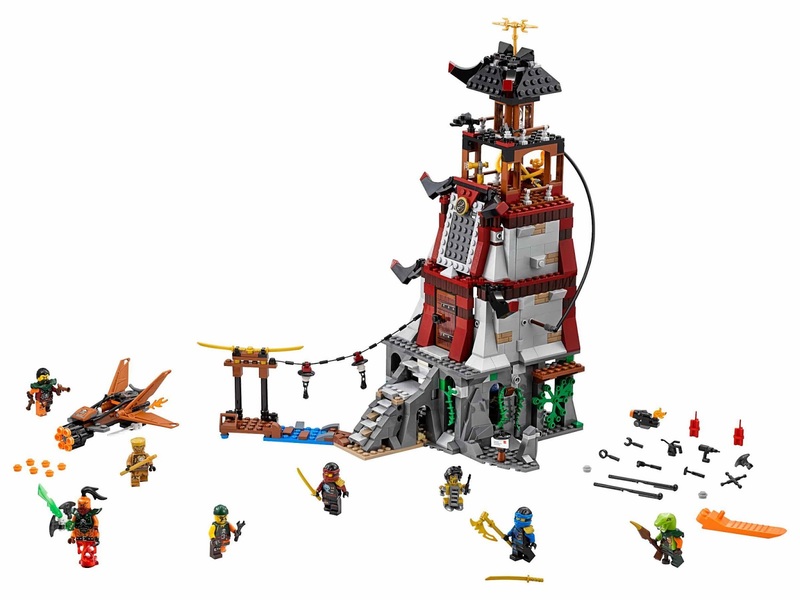 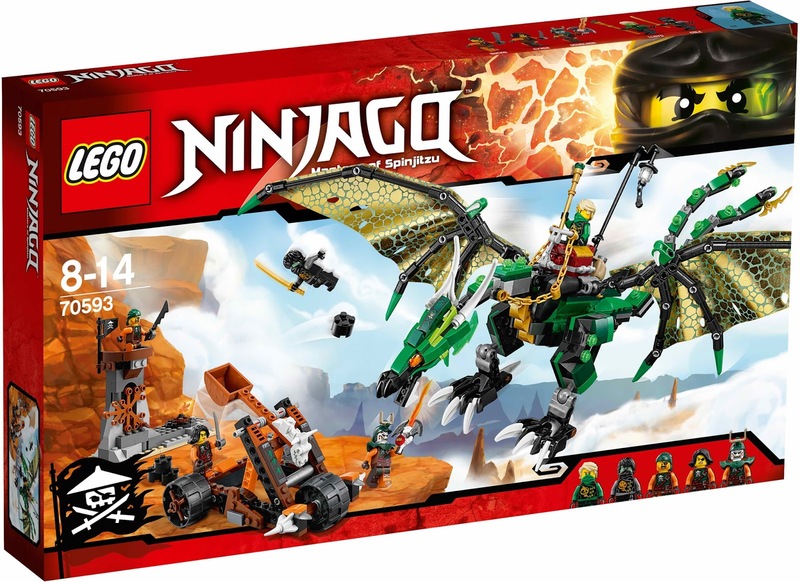 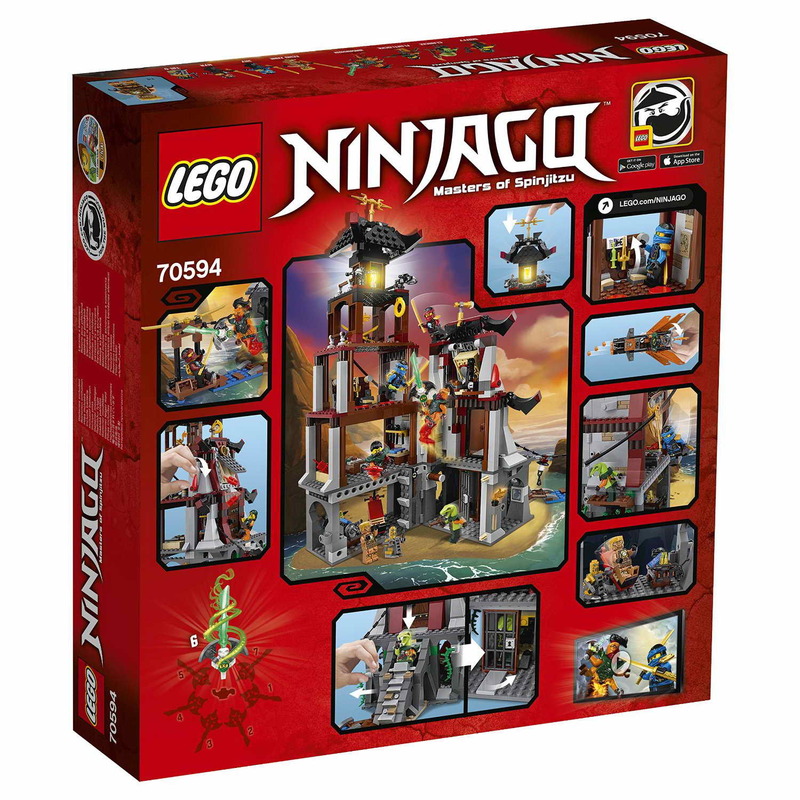 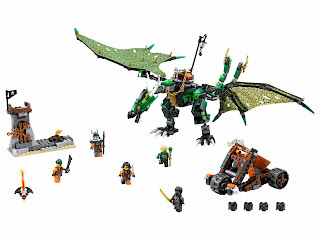 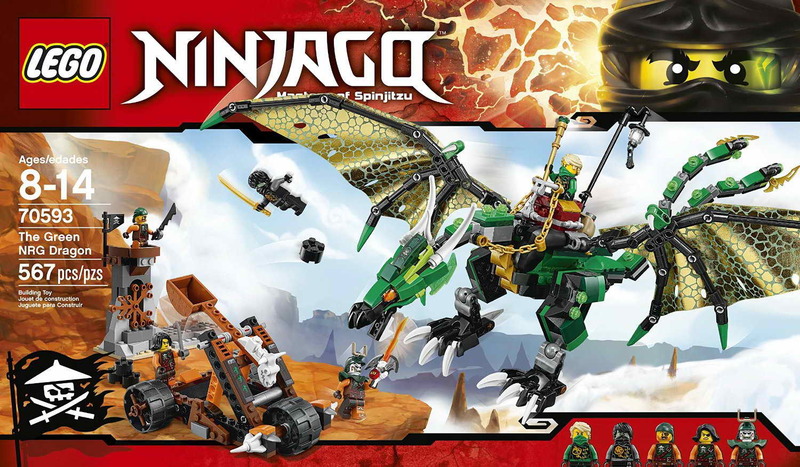 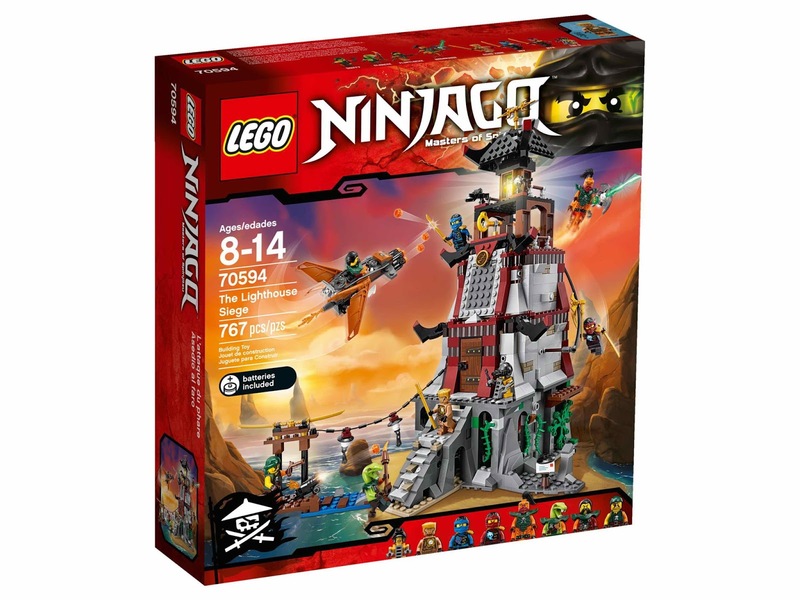 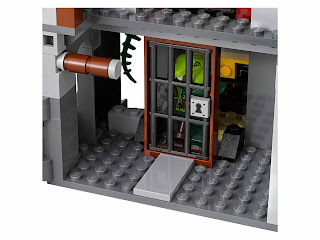 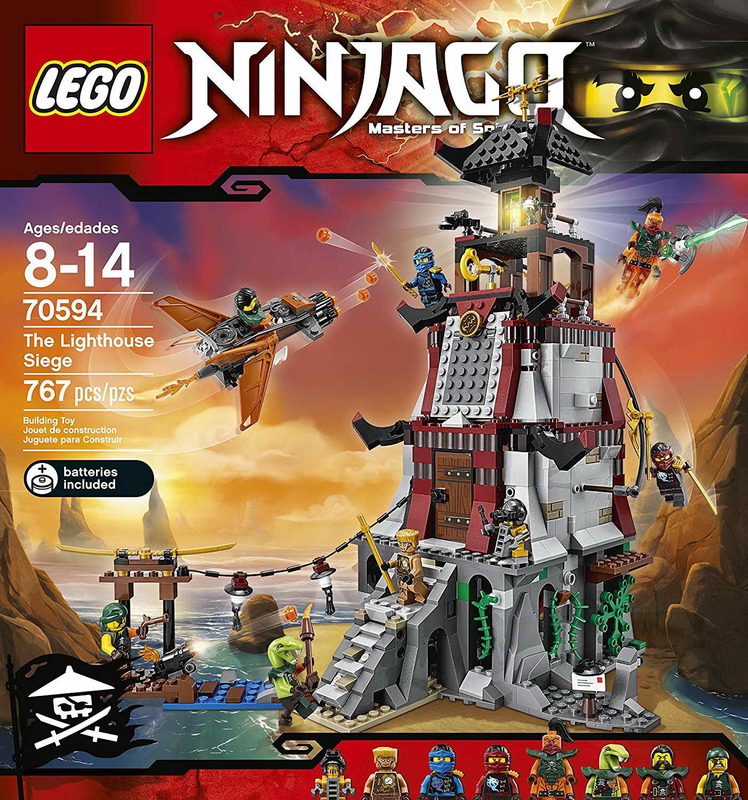 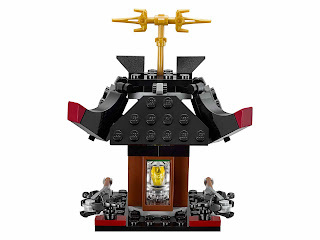 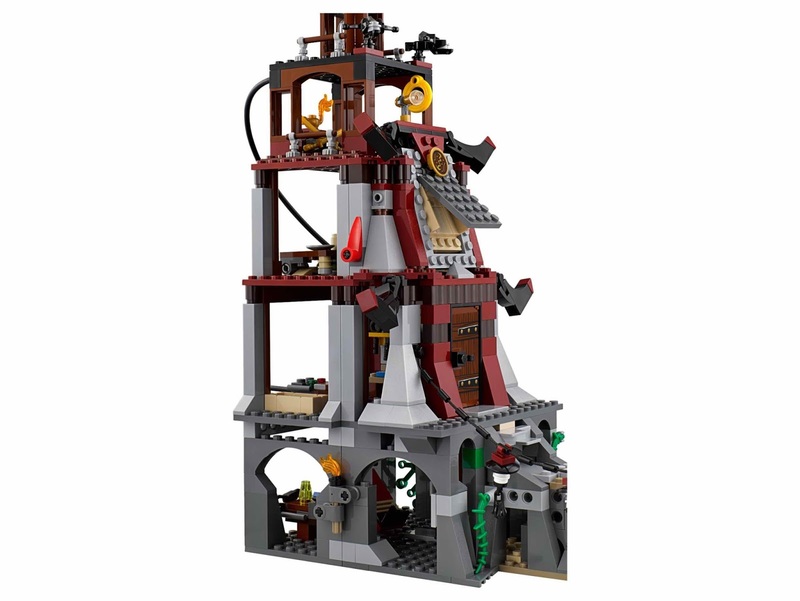 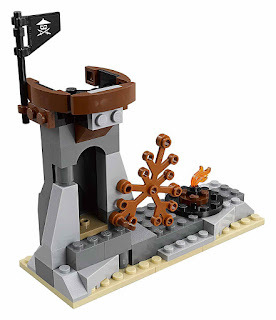 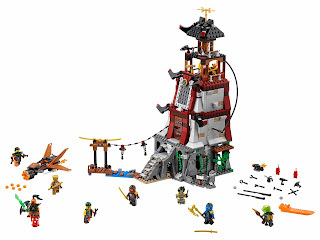 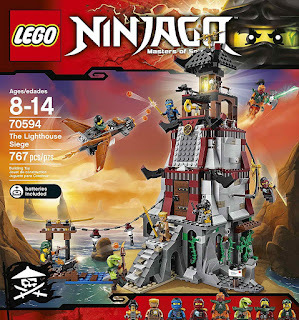 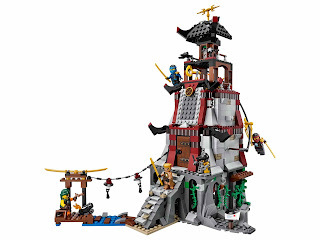 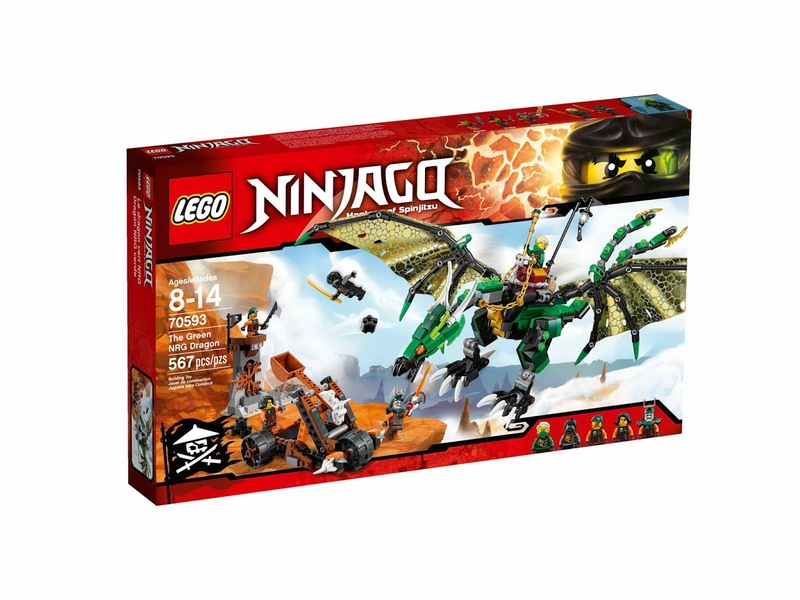 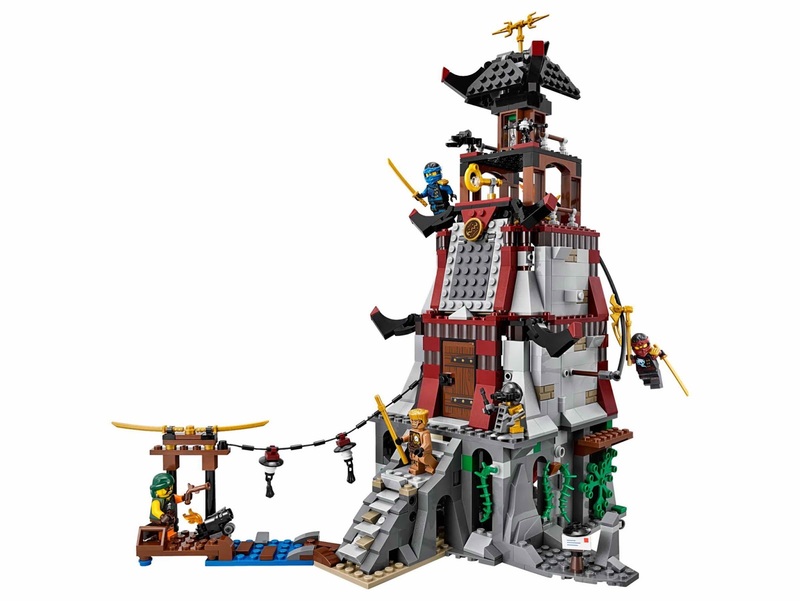 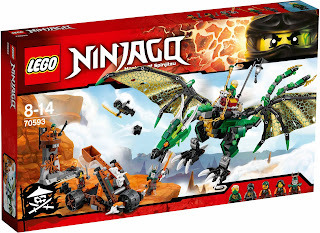 come with a lloyd's green nrg dragon, a sky pirates' lookout tower and a sky pirates' catapult. 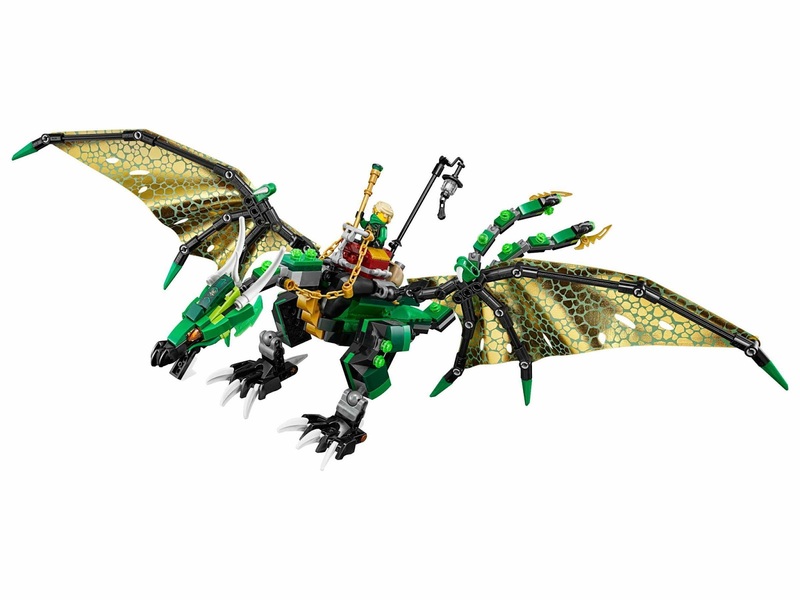 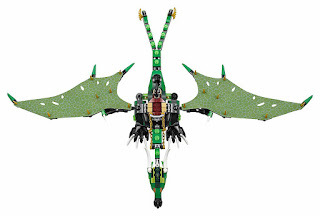 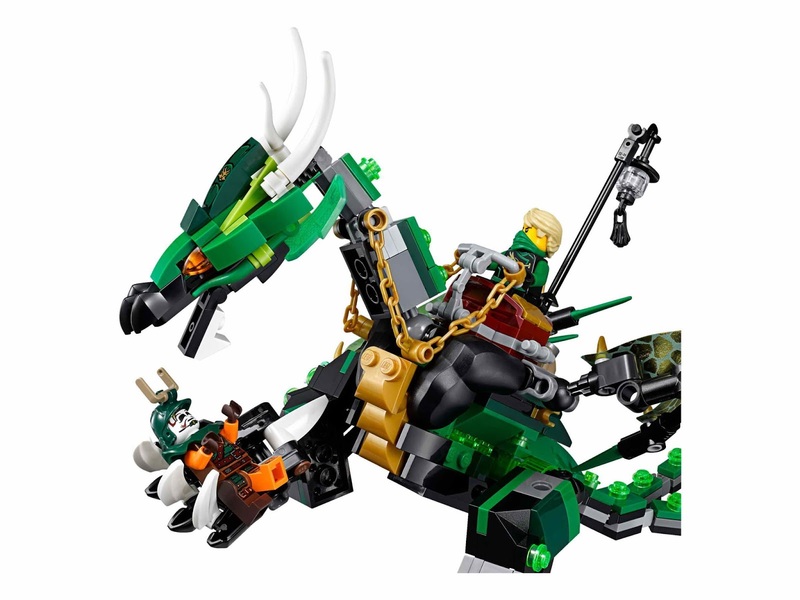 the dragon has a saddle for lloyd, golden chain style reins, a posable head, a snappable mouth, foldable printed textile wings, posable legs, talons and posable split tail with 2 stud shooters. 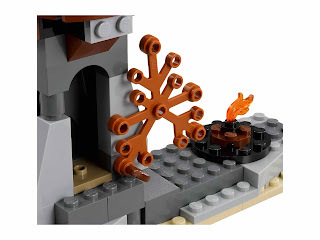 the tower has a flag, a hidden barrel and a transparent flame campfire. 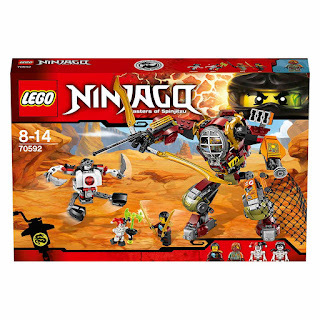 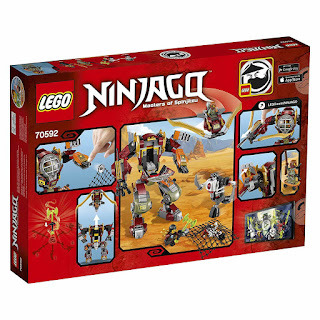 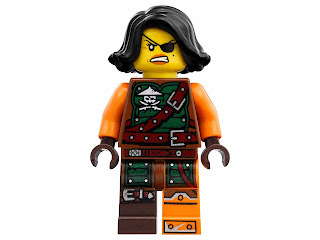 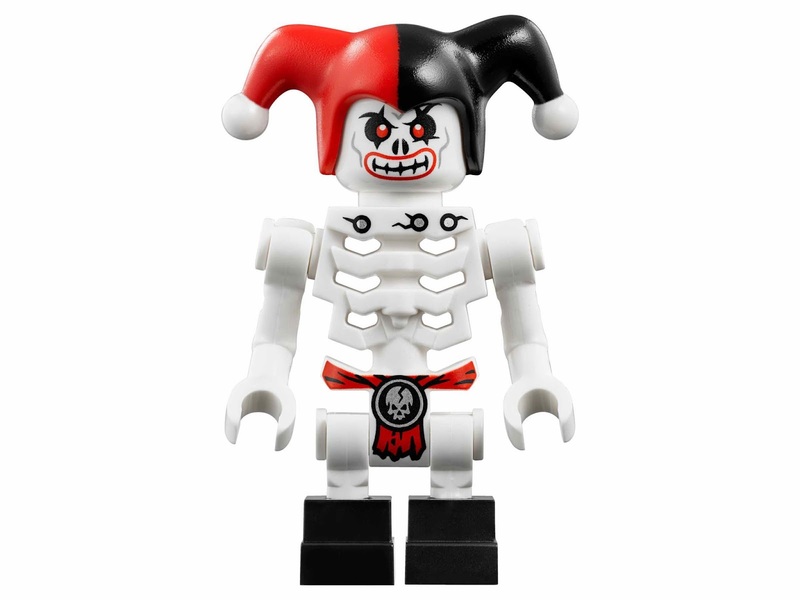 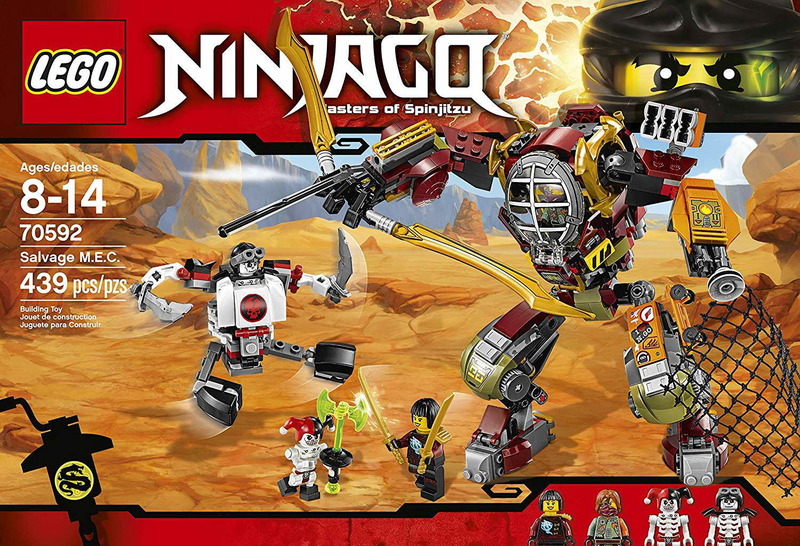 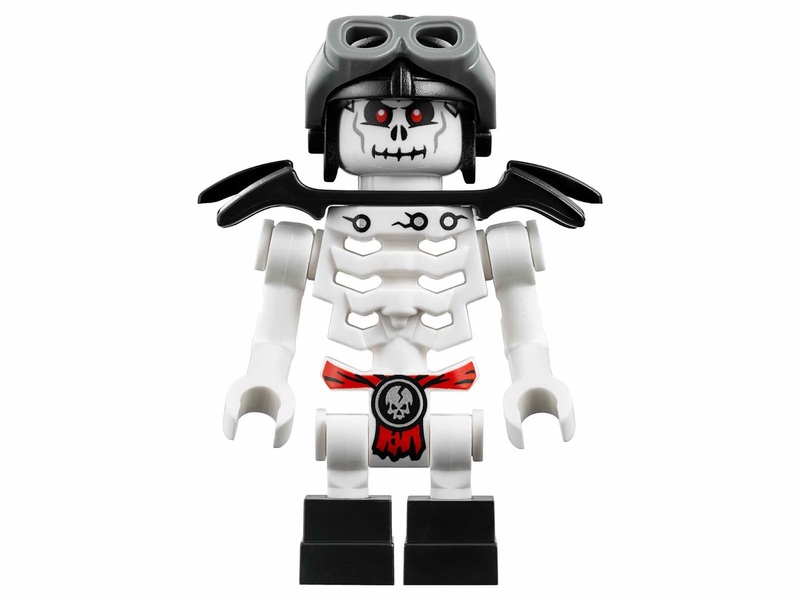 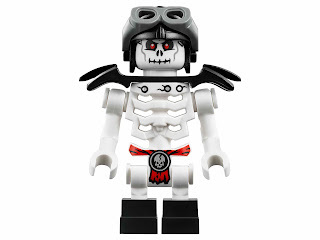 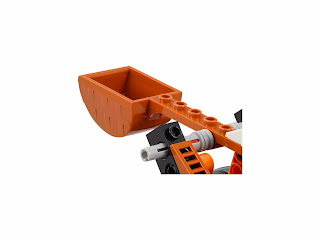 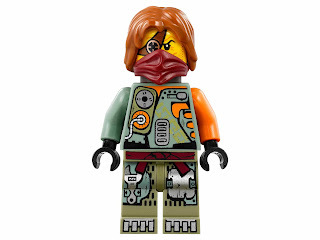 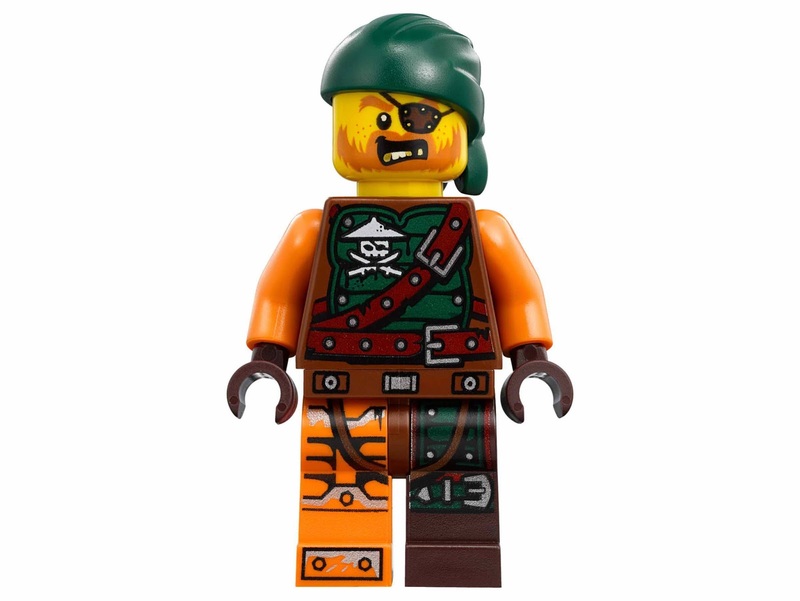 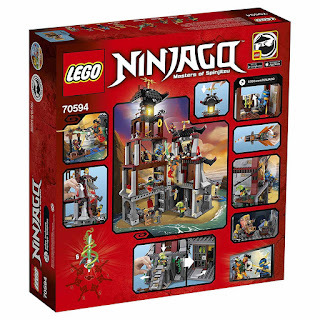 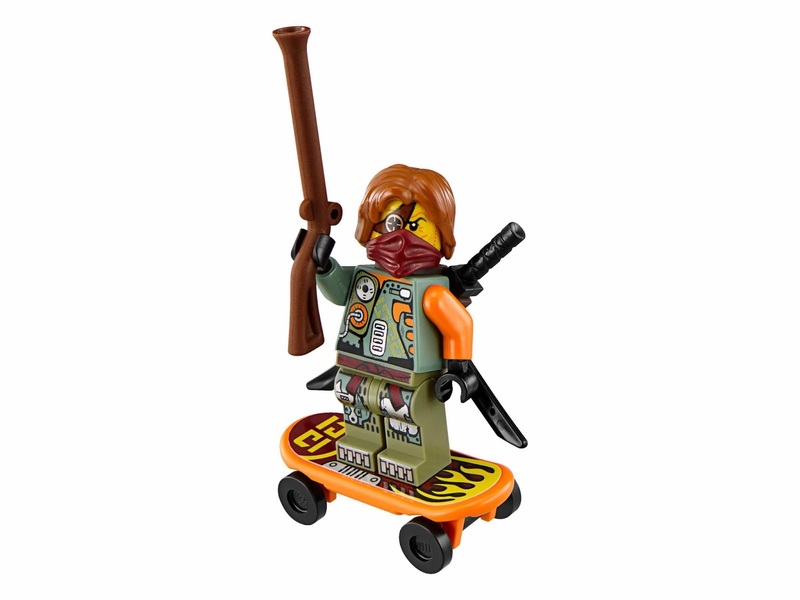 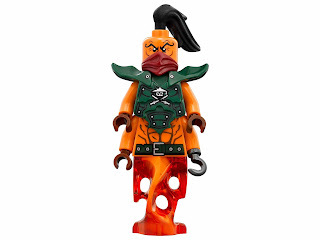 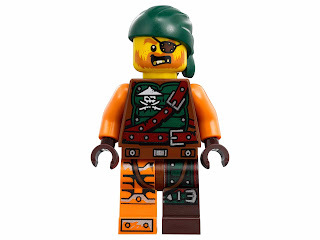 minifigs included a skybound outfit lloyd minifig, a skybound outfit ghost cole minifig, a bucko minifig, a cyren minifig and a battle doubloon minifig. 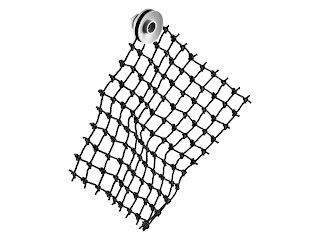 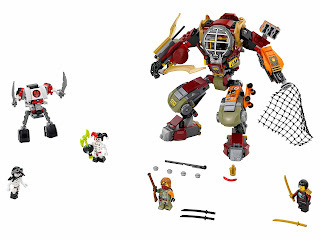 come with a salvage mec and a skulkin mech. 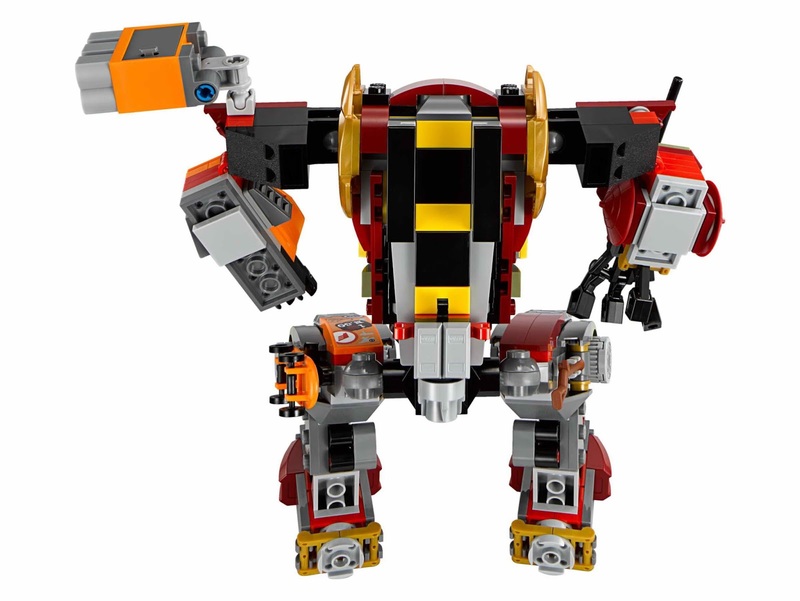 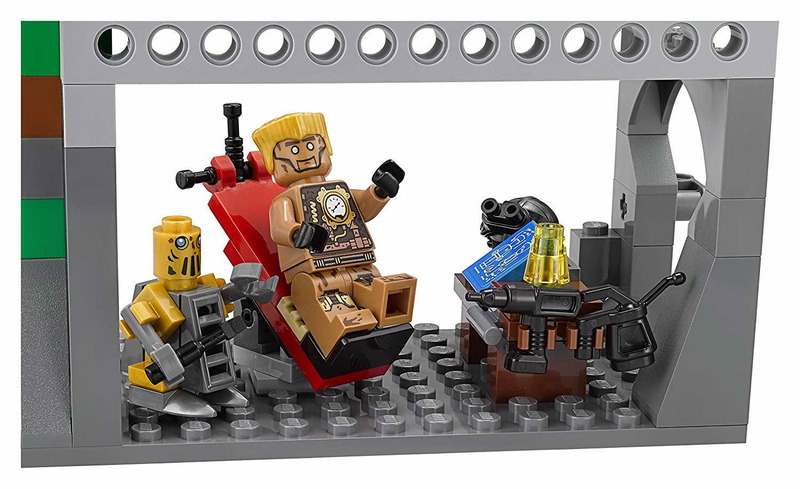 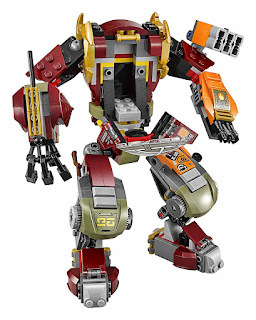 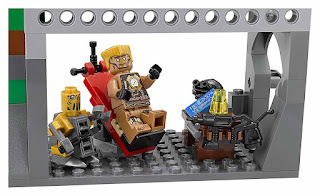 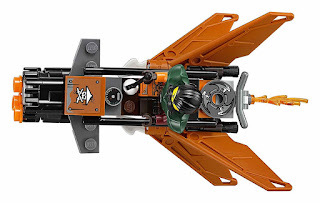 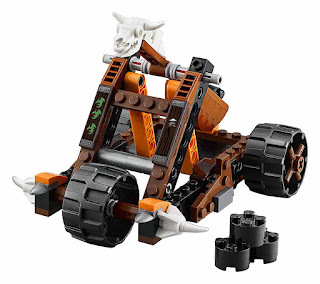 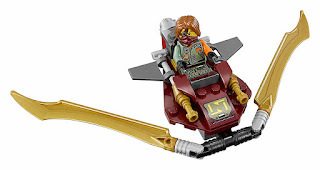 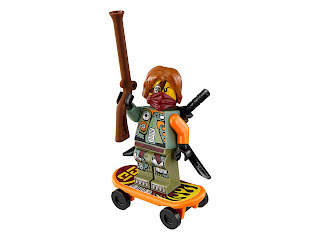 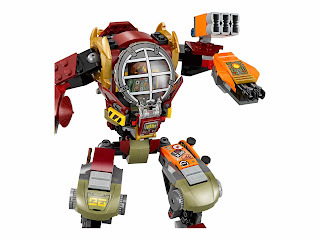 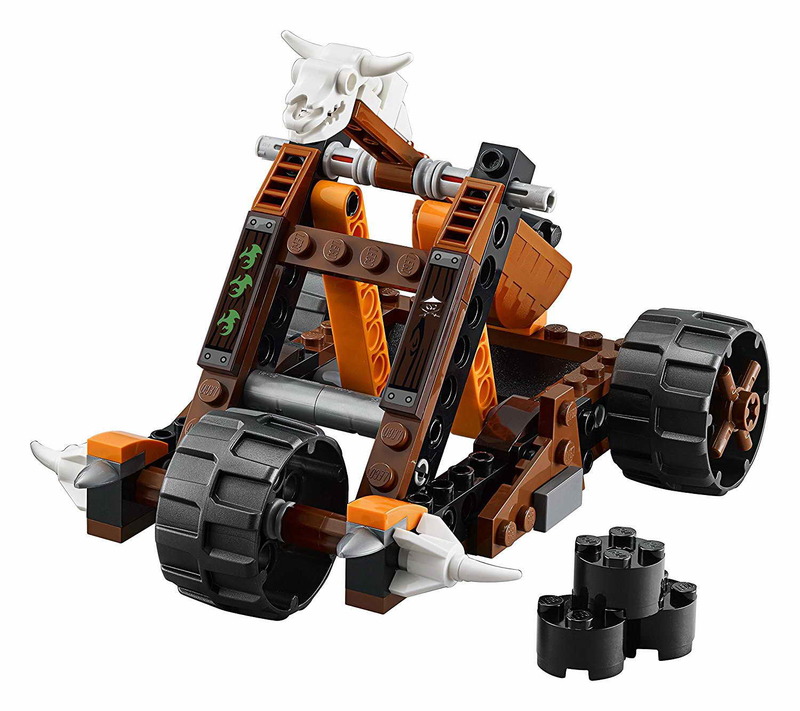 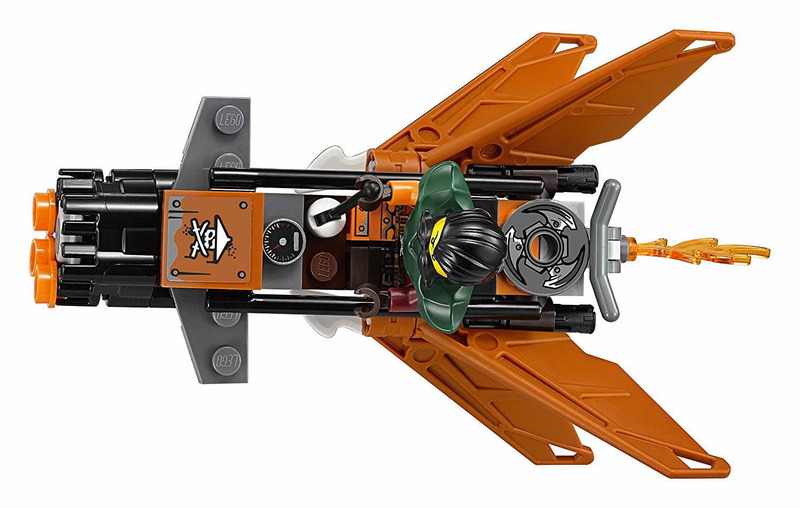 the mec has an openable cockpit, posable arms and legs, a golden bow with spring loaded shooter, a net stud shooter, a rifle, a stolen treasure or ammo compartment, a detachable skateboard, 2 golden blades and a detachable escape flyer for ronin or nya on the back of the mech. 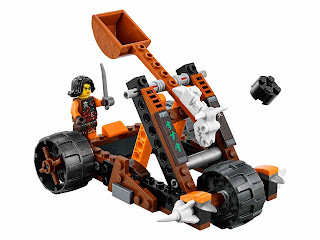 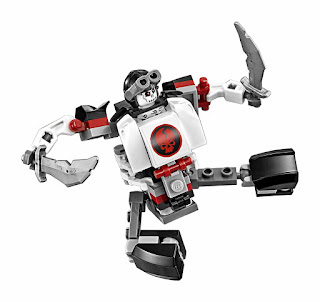 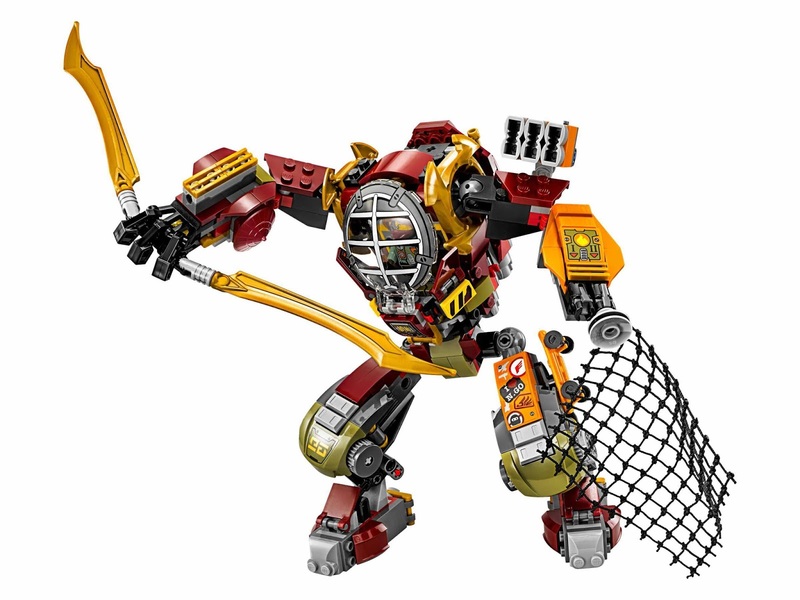 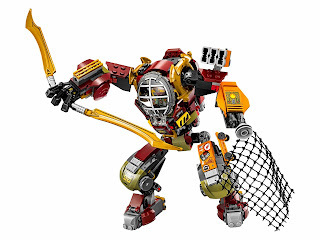 the skulkin mech has a cockpit, posable arms and legs and 2 silver dark blades. 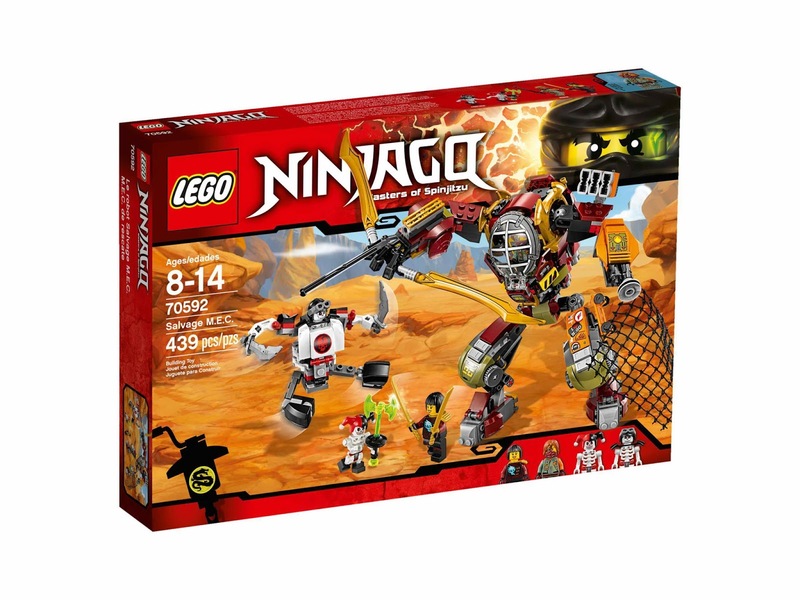 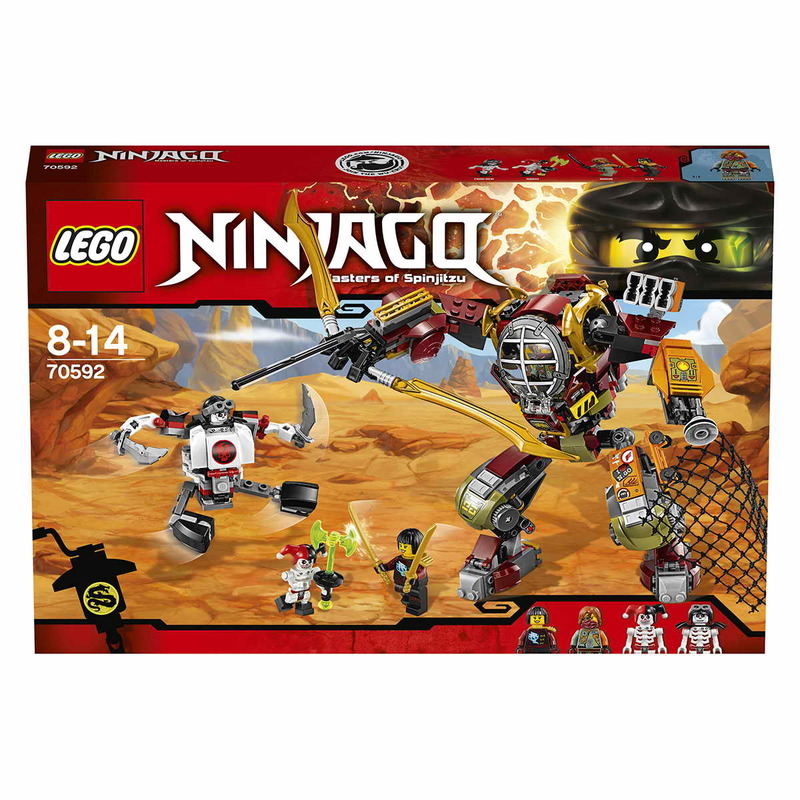 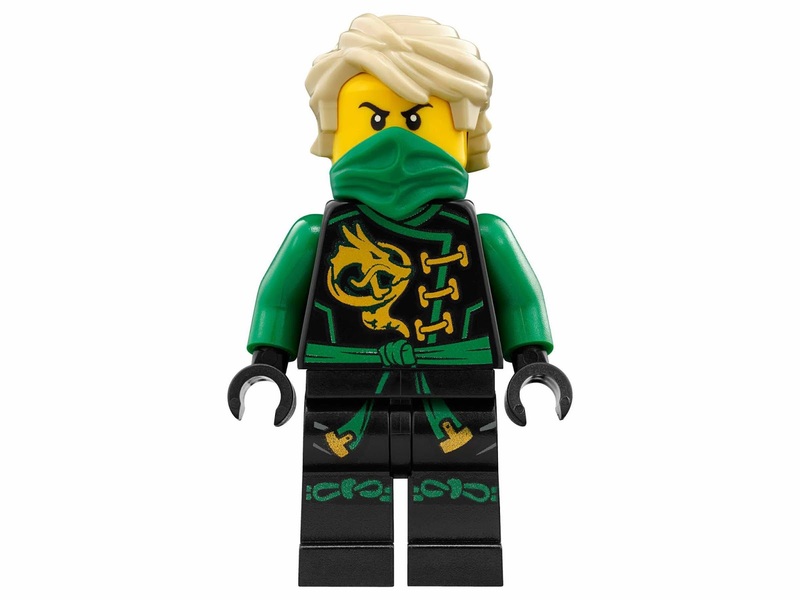 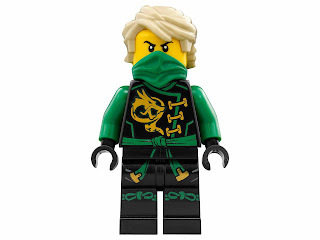 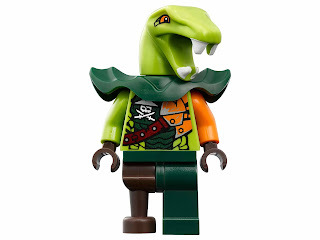 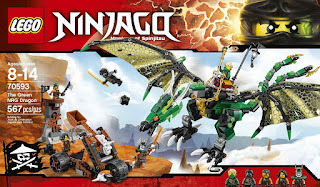 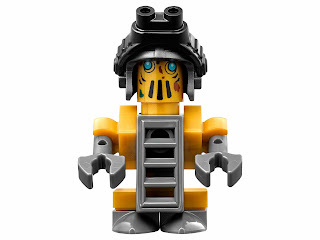 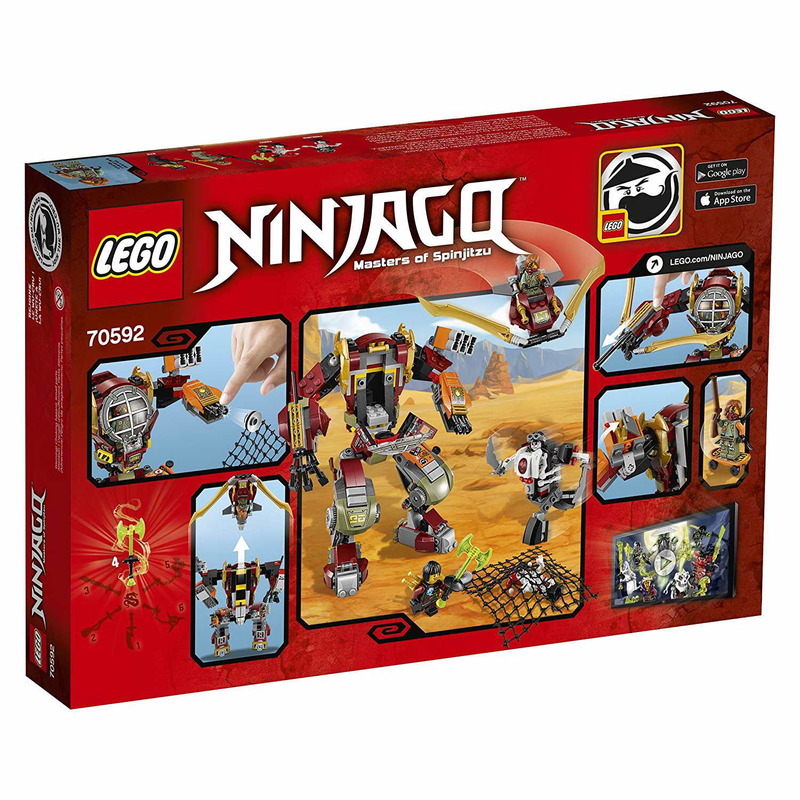 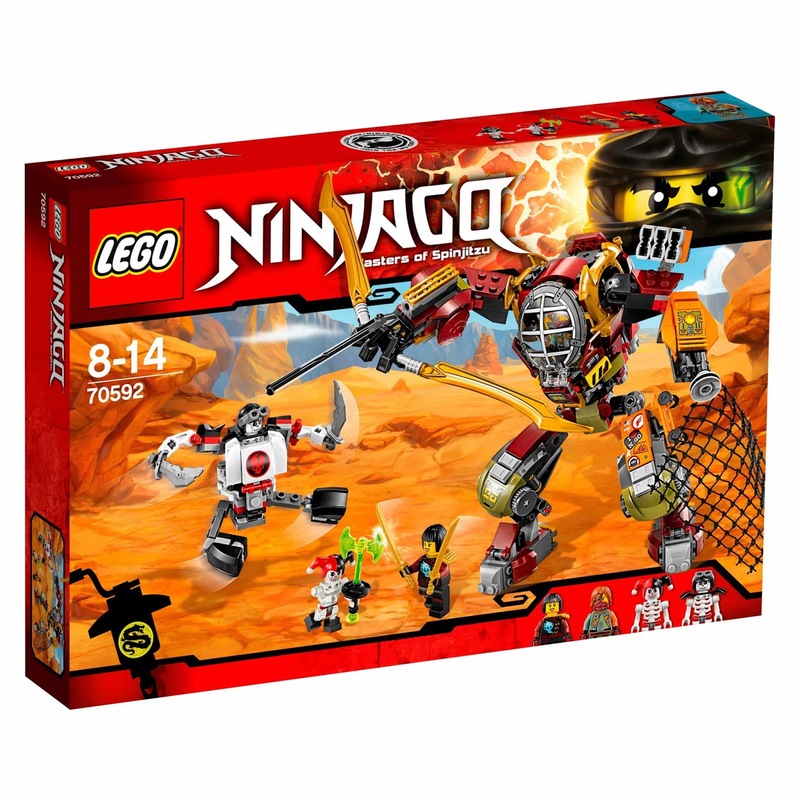 minifigs included a special mec outfit ronin minifig, a skybound outfit nya minifig, a krazi minifig and a frakjaw minifig.